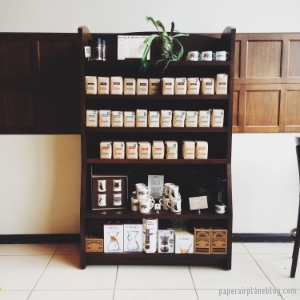 A caffeination station at Stumptown Coffee Roasters. Last week I decided to play tourist in my own city for a Monday pick-me-up. Like our beer and our roses, our hipsters and our coffee culture are Portland's claims to fame. Being that it was mid-morning on a Monday in December I figured that I'd stick to the latter two at essential modern Portland establishments: Stumptown Coffee and the Ace Hotel. The makings of a pretty great Monday if you ask me. Inside the lobby of Ace Hotel Portland. Portland's coffee culture is a unique scene where independent and artisan coffee roasters are just as frequented and accessible as Starbucks. Choosing between local favorites such as Heart, Coava, and many others, truly make for a challenge when great coffee is plentiful in Portland. 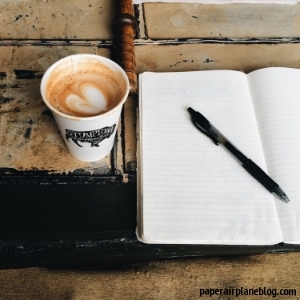 Locally owned Stumptown Coffee Roasters is the best place to start. As one of the industry's most respected roasters, Stumptown Coffee is largely to credit for Portland's stellar coffee culture street cred. At Stumptown Coffee, I somehow managed to miss the morning rush and I was welcomed with my piping hot cup of coffee in no time. My coffee and I sidestepped from Stumptown directly into the moody Ace Hotel lobby. Based in locations such as Los Angeles, New York City, London, Panama, Palm Springs, Seattle, the Ace Hotel Portland is flawlessly cool with Superior Deluxe rooms featuring curated record collections, locally made and vintage furnishings, and amenities such as custom Hufnagel Cycles bike rentals. The 3-star hotel here in Portland is beautiful and it's easy to see why so many love to curl up on the midcentury modern couches for a casual meeting or time with a good book. And so I lounged, sipping my Stumptown and writing in the Ace Hotel lobby to the tune of Nancy Sinatra and Johnny Cash on vinyl spinning in the background. These days "The Ace" is a popular spot and, sure, sometimes frequented by those just looking for their iconic "h o t e l" Instagram but it remains one of the best spots in the city to relax with a cup of Stumptown Coffee. Do you ever play tourist in your own city? Where are your favorite "rediscovered" spots?